Cultural Safety and Science; are they compatible? There has been a lot of interest around here on the subject of “cultural safety” lately, and it appears to be a growing trend in nursing. However, I remain rather confused about the idea, as it seems to me to be a position that supports epistemological relativism. I certainly understand and support the notion of cultural competence; i.e. making sure that healthcare practitioners are are aware of and consider individual patients and clients different cultural needs. This is supremely important in making sure we do not perform any practices that are against a clients beliefs and wishes. For, example there was an awful case here a few tears back when a nurse shaved a elderly Sikh gentleman’s beard off. Practices for the handing of deceased patients are another area where nurses must be aware of the cultural wishes and practices for the patient and their family. However, “cultural safety” appears to be something quite different, and raises some interesting questions in terms of public healthcare. Cultural Safety is a concept originally developed in New Zealand by nurses working with Māori people and goes beyond the traditional concept of cultural sensitivity and competence (accepting diversity and difference) to analyzing power imbalances, institutional discrimination, colonization and relationships with colonizers (Williams 1999, Doutrich et al, 2012). This seems to be based upon a postmodern deconstruction of healthcare systems to identify how they have failed to meet the needs of marginalized people. So far, so good, as most healthcare professionals would readily recognize how indigenous peoples usually got (and continue to get) a raw deal in terms of public healthcare provision. Indeed, as a macro scale critique of public healthcare policy and population health it has many merits. However, the problem for me arises when we start to look at these ideas in terms of micro-level patient care. If culture is broadly defined as the beliefs and practices common to any particular group of people, then this includes beliefs about health and medicine. If we then extend the analysis to an argument that public healthcare should make all minorities feel “safe” within the healthcare system by supporting their own cultural healthcare practices and beliefs, then more complex questions arise as to how we could achieve this without abandoning evidence based practice (EBP), and accepting epistemological relativism. The feasibility of providing this in a publicly funded healthcare system is something I would see as an issue for this approach. The people most able or equipped to provide a “culturally safe” atmosphere are certainly people from the same culture as the patient, but as a multicultural society the ability to practically provide such an environment with centralized resources would be difficult. Then there is also then raises the question of which minority groups should we apply this to? Does the theoretical framework only apply to indigenous peoples, or also ethnic minorities, religious minorities, LGBT? Colonization is certainly not the only form of oppression we could use here. Let us explore this in the context of the example of the well publicized case of “Dr”. Wu in the UK (no relationship to the Steely Dan song I am aware of). Ying Wu, a qualified traditional Chinese medical doctor operating in Chelmsford in the UK in 2010 was prosecuted for prescribing medicines that led to severe organ damage for one of her patients. For several years Ying Wu prescribed high doses of extracts from the Aristolochia plant to treat acne to a 58-year-old woman, reassuring her that the pills were “as safe as Coca-Cola.” Following this the patient lost both kidneys, developed urinary tract cancer, and had a heart attack as a result. Judge Jeremy Roberts gave Wu a two-year conditional discharge, saying Wu did not know the pills were dangerous and because the practice of traditional Chinese medicine was unregulated in the UK. Clearly this is an extreme example, but it does raise the theoretical question, if a Chinese patient and their family request to use Aristolochia ( a known liver toxin) as a treatment, what should the nurse do: A) Allow them to administer it (supporting “cultural safety” but not physiological safety), or B) deny the request (possibly becoming a cultural imperialist)? To be clear, I am not trying to make slippery slope or staw-man arguments here, but the work in this area seems rather vague about how the principles of “cultural safety” apply to practical patient care and clinical decision making. Nevertheless, if we adopt the “cultural safety” rationale, the same principles can be applied to justify a wide range of cultural practices from vaccination to faith healing or even female genital mutilation, depending upon the specific cultural context of the practice (and considering who is the oppressed and who the oppressor). How do we discriminate between cultural practices? Is cultural safety subordinate to physiological safety, and if so how can it ever work? Another factor most of these ideas seem to treat culture as a static phenomena, and fail to address the issue that culture is dynamic. Culture changes and evolves with each generation (I only need to look at my kids cellphone use to see that) and what one generation regard as safe, another will not. The notion of “cultural safety” seems to create more issues than it resolves as far as I can see, and I fear may be doomed to become another postmodern academic theoretical exercise. But maybe I have missed something, and as always comments and contrary opinions welcome! Doutrich, D., Arcus, K., Dekker, L., Spuck, J., & Pollock-Robinson, C. (2012). Cultural safety in new zealand and the united states: Looking at a way forward together. Journal of Transcultural Nursing, 23(2), 143-150. Reimer-Kirkham, S., Varcoe, C., Browne, A. J., Lynam, M. J., Khan, K. B., & McDonald, H. (2009). Critical inquiry and knowledge translation: Exploring compatibilities and tensions. 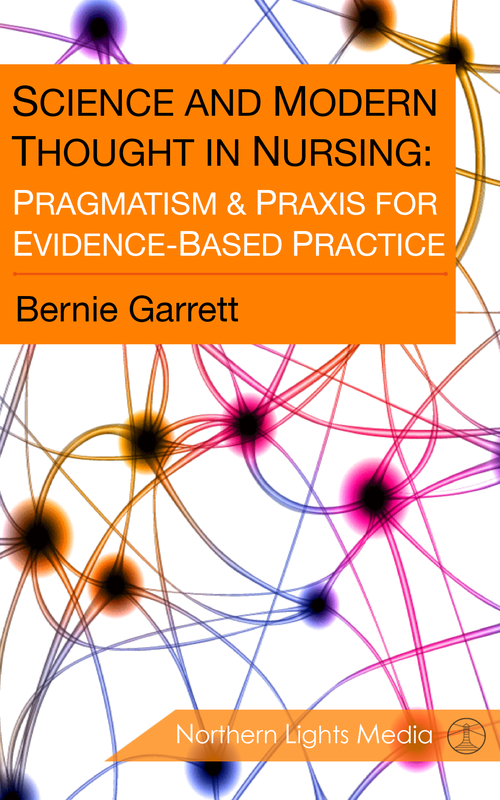 Nursing Philosophy, 10(3), 152-166. Williams, R. (1999). Cultural safety–what does it mean for our work practice? Australian & New Zealand Journal of Public Health, 23(2), 213-214.